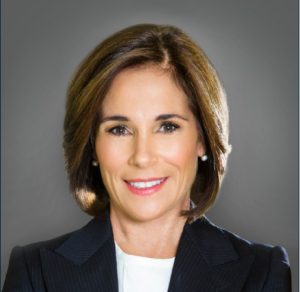 Susan serves as a Managing Director at Geller Advisors and is responsible for the development of both short and long term strategic planning, and serves on the firm’s Investment Committee. Her primary focus is to help clients achieve their wealth goals through effective integrated wealth planning and investment management. Susan has nearly thirty years of experience in family office services advising families on all aspects of wealth management. This includes investments, financial management and wealth transfer strategies. She has expertise in developing, advising, implementing and managing clients’ investment portfolios across all asset classes including hedge funds, private equity and real estate. Susan is also a member of the firm’s investment committee. Prior to joining Geller Advisors, Susan advised high net worth individuals at BBR Partners, Citigroup’s Private Bank, Morgan Stanley and Sanford C. Bernstein. Earlier in her career, she lived in London where she served a large international client base as a management consultant. Throughout her career Susan’s work on behalf of clients has been recognized by The Financial Times who named her one of the Financial Times Top 100 Women Financial Advisors in America, and by Private Asset Management (PAM) as one of The 50 Most Influential Women in Private Wealth. Her insights on wealth management have also appeared in a range of financial media from The Wall Street Journal to Worth Magazine. Susan received a BS in Finance and Investments from Babson College. She has lectured on the topic of Asset Allocation and Optimization to the Institute of Private Investors (IPI) at The Wharton School of the University of Pennsylvania.